Cliché I know but my favourite Christmas present from 2018 was my 3 year old learning to ride her pedal bike (It made it onto video too!) Biking is one of my big passions and today in the Carpark of the Marin, she was trying out her biking, with her Daddy, whilst I was on the trail. 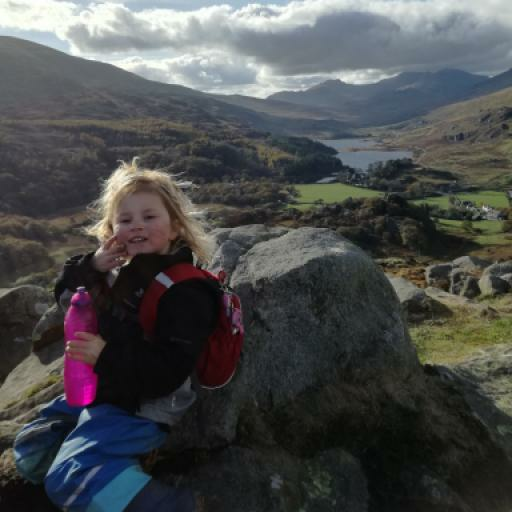 We both love being outdoors, it can be an effort to do it but every time we make that effort come stormy weather or bright skies we are more chilled and happier for doing so and thankfully my 3 year old and 14 month old are exactly the same. Whether it's surfing and kayaking in the warmer months, or biking and hiking all year round, whatever gets us out makes us happy. Heidi and Tecwyn both had their first sea kayaking trip this summer and Heidi threw herself enthusiastically into the surf on her body board in Aberffraw on Anglesey. Living in Anglesey, we've no shortage of stunning places for day trips but we've still enjoyed trips away in the van, one of the highlights being waking up right by the beach and seeing a seal as we sleepily stuck our heads out of our sleeping bags. What a great year 2018 was and here's to lots more adventures in 2019!